San Francisco city officials on Thursday admitted they had lost hundreds of pages of documents related to the foundation of the sinking Millennium Tower. “Again, it raises more questions than answers,” said Supervisor Aaron Peskin after grilling Department of Building Inspection officials over their failure to keep a four-volume set of foundation plans for the project and other key documents. Tom, the department's assistant director, bristled at the suggestion. “That would be a misconception. Because not all of it goes into a filing cabinet, the circular one -- the garbage can,” Tom told Peskin. Tom stressed that while the department had no overarching document retention policy at the time, engineers likely kept key documents on portable hard drives. He suggested the four volumes amounted to engineering calculations that the city does not normally keep. However, he also promised to improve document retention practices. Peskin’s questioning came after NBC Bay Area uncovered a key document buried in decade-old permit files that the city had previously failed to disclose. It is a grainy copy of a January 2006 letter from one of two structural engineers charged by the city to review the Millennium’s foundation. Hardip Pannu stressed in his letter that the experts reviewing the foundation were not asked to account for the $2 billion Transbay transit terminal to be built next to the tower. Peskin asked Tom about Pannu’s comment. Millennium officials now say it is the transit project that destabilized the tower’s foundation and contributed to its sinking and leaning. 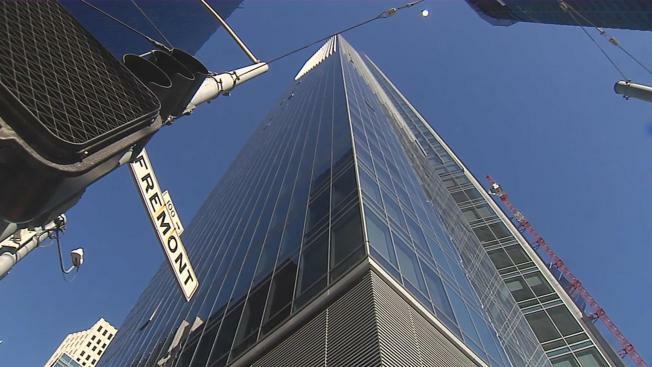 In turn, Transbay officials blame Millennium for not rooting the building in bedrock. The building official who got the letter, Hanson Tom, told Peskin that the city would not have made such an instruction. He says the city doesn’t typically “go beyond the property line” of the project in question. After the hearing, Peskin deemed the building inspection department dysfunctional.